Aerofoil Furniture News – Furnishing Solutions That Work…. Stand up and Work…at least some of the time! Sitting All Day Is Not Good For You…. Guess how many hours a day you spend sitting? Fewer than eight? More than 10? A recent survey found that many of us spend up to 12 hours a day sitting on our bottoms looking at computers or watching television. If you throw in the seven hours we spend sleeping then that adds up to a remarkable 19 hours a day being sedentary. It’s not good for us. Aerofoil Design have always promoted the health benefits of exercising or standing when working, supplying height adjustable desks and exercise stools for example. We have recently expanded our range of Sit Stand desks, and can even fit an electric frame to your existing desktop. Contact Jeff Nurse at Aerofoil Design to discuss this in more detail and to see how we can help. An example of height adjustable desks at work. 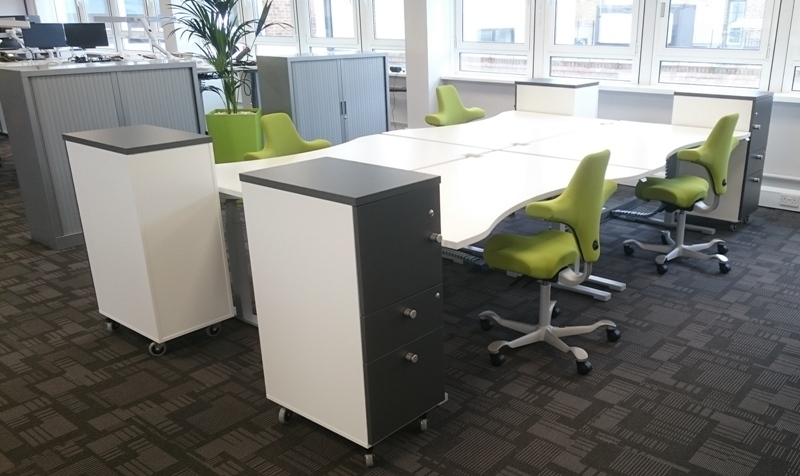 Height Adjustable Sit Stand DesksElectric Height Adjustable Desks, Gravity Desks, Hag Capisco Chairs, New Office Design and Furniture, Sit Stand Desks, Sit to Stand, Stand Up and WorkLeave a Comment on Stand up and Work…at least some of the time! We always promote the benefits of Sit Stand desks, enabling Users to vary their work position throughout the day. Additionally, why not introduce these habits to other aspects of your working day. Stand Up and Meet! Aerofoil Design are specialists in designing and specifying workspaces, and offer free advice on what is possible. Contact us to discuss your workplace. Panel ended high table with storage cupboards underneath. Perfect for catching up with a few emails, collaborating with colleagues on your latest proposal or for brief meetings. Stand up for a while, or choose some of our bar height stools. 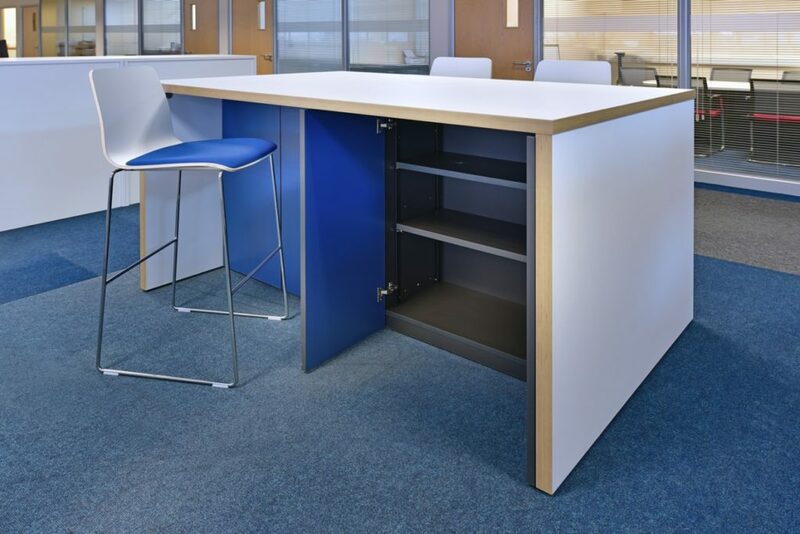 Panel ended high tables, available in one of ten finishes, from just £119 + Vat, delivery and optional installation. We are also supply several ranges of electrically height adjustable boardroom tables. Promoting flexibility at work, sit down for formal meetings or raise the table to run through the latest proposals or plans. We recently made our visit to the bi-annual international office furniture trade fair, Orgatec, in Cologne, Germany. 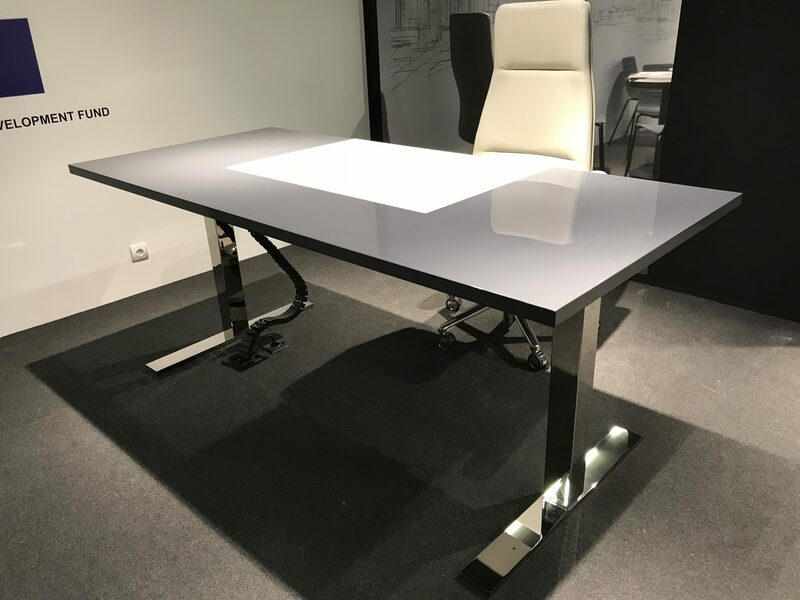 The size of this furniture show is incredible, with hundreds of office furniture and seating manufacturers, highlighting their latest designs and visions for the modern office. Aside from catching up with our existing suppliers and contacts, it enables us to draw on fresh ideas and products to help shape the offices we design here in the UK. We will share a few highlights with you over the coming weeks. BOS1964 from Barcelona, showcased several of their premium Executive Furniture ranges. 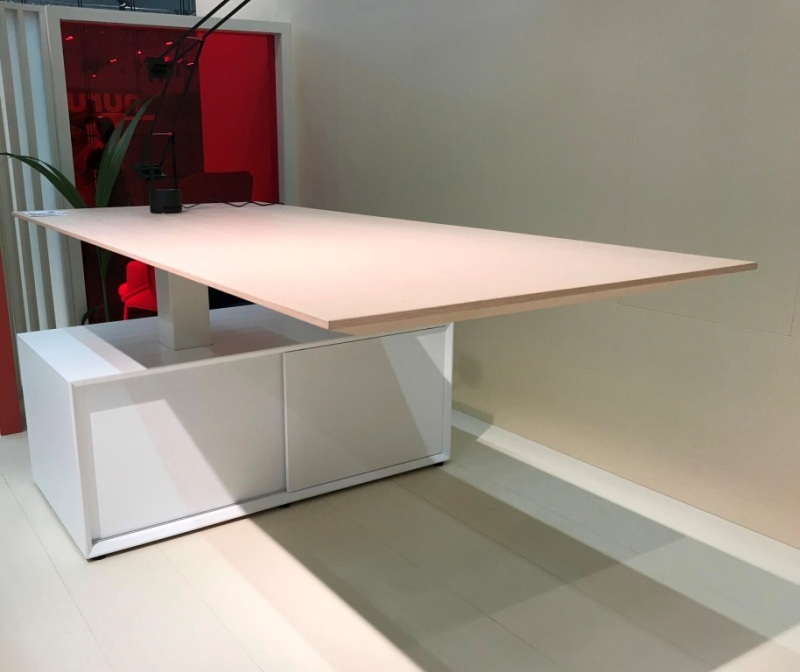 Their stylish new electric height adjustable executive desk, called Cloud, was of particular interest. Cloud is also available with high quality veneer tops with optional leather inlay. The desk can be adjusted between 740mm and 1150mm, and has memory control, so three positions can be programmed. 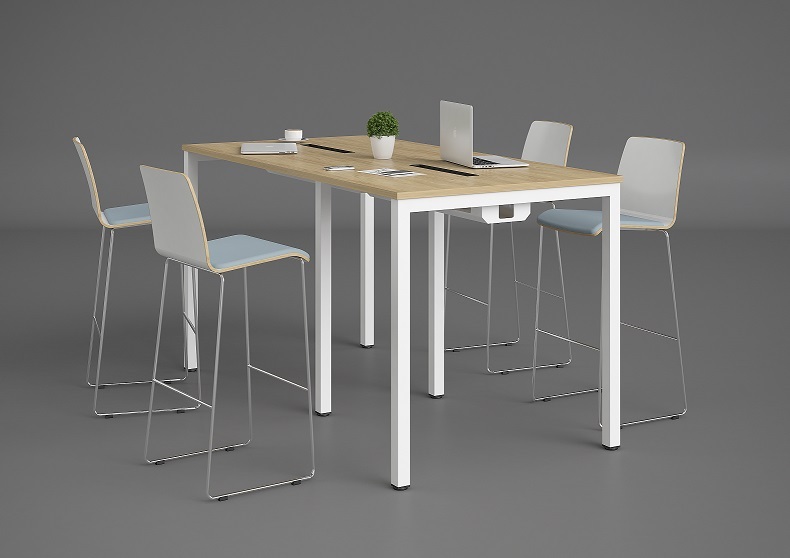 There is a full family of associated products, including a fixed height desk, and meeting tables. Aerofoil Design are Office Design, Space Planning and Furniture Specialists, based in Sittingbourne, near to North Kent’s Medway Towns. We Supply, Deliver and Install Stylish, Modern and Contemporary Furniture Solutions throughout Kent, London, Surrey, Sussex, Hampshire, Essex, and right across the UK. 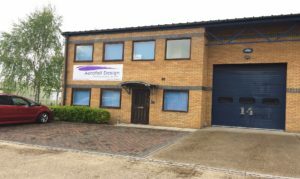 Aerofoil Furniture NewsAerofoil Design, Maidstone, Medway, Office Designers, Office Furniture Suppliers, Office Space Planning, Rochester, SittingbourneLeave a Comment on Aerofoil Design…. Copyright © 2018 Aerofoil Design Management Ltd, All rights reserved.